2 Days, 11 & 12 – Dec -2010. RIDE DURATION/DATE: 2 Days, 11 & 12 – Dec -2010. 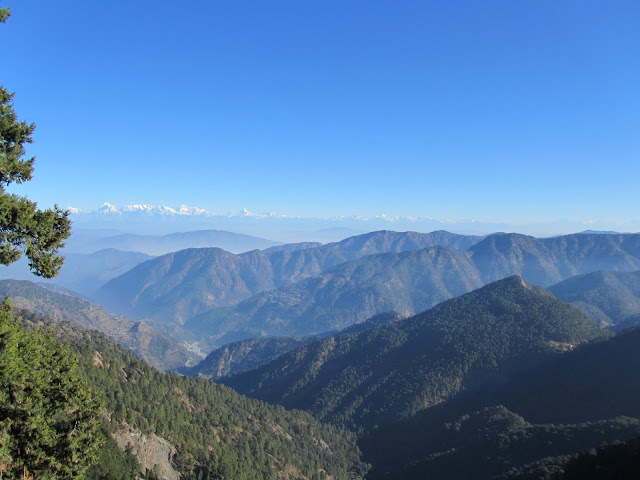 We have two routes that you can take while going to Nainital from Delhi. Both the routes run on the same track up to Moradabad and then deviate after Moradabad. While going I went though Rampur and while coming back, came through Kaladungi. After Moradabad also we have to keep riding in High way, its having lot of local traffic and heavy vehicle traffic in this route. Even its long route and highly recommended to avoid this road. you will travel 30 to 40km extra. After Moradabad we have 30 km bad road in UP, after that we will have beautiful forest and hilly road. Its beautiful hilly and forest road. we wont see any traffic in this road, because heavy vehicle not allowed in this route. I highly recommended you to use this route to save time and see good scenario. BY TRAIN: Nearest railway station in “Kathgodam” (36 km away), Ranikhet Express from Old Delhi. 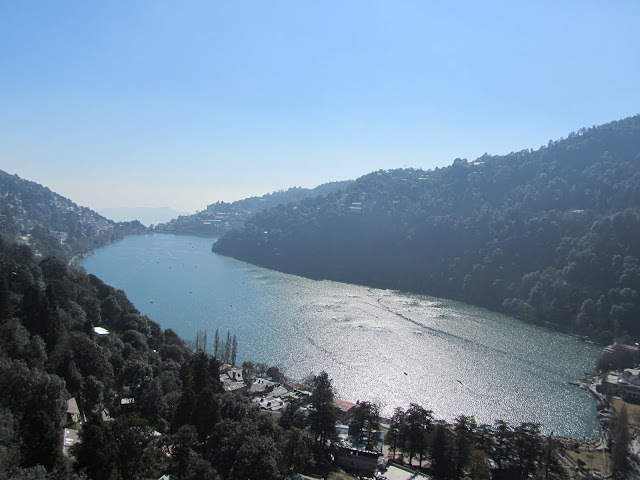 When you reach Nainital, you will see beautiful Lake. “Tha Mall” road start form the lake. You can see plenty of hotels in this road in all the rates. You can take some hotel in this mountain, So you will get very beautiful lake view from your hotel itself. 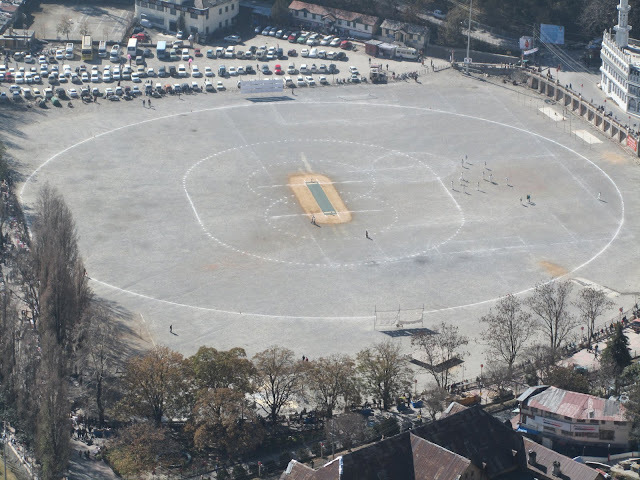 “The Mall” road is more happening place in complete nainital. Its near to lake. I booked one single bedroom for Rs.300. its half season, so I can get it for less price. But generally you will get very decent room for 1000+/- based on your need. Opt 1: I went all the places in my bike, yes off course some places in Horse. If you have car, you can go in your own. Its all very near only. Opt 2: If you don’t have bike/car, Better you can book one or half day sight seeing package. You can find lot of travel shops in “Mall Road” itself. it will start from Rs.200 to 1500, based on your tour package selection. 11DEC2010 06:45 AM : Started from Noida, as per my plan i should start at 6.00 AM, i am feeling more cold and fog keep delaying my starting time. One thing I can see, more often local people/traffic in UP roads, even in highway. 11DEC2010 09:30 AM : I stopped for breakfast, we can see plenty of good high way hotels in UP, so no issue for food. Keep riding till Moradabad, its very good high way, after mix of good/bad/traffic road. 11DEC2010 01:30 PM : I reached Nainital lake and went to “The mall” road. I just booked one hotel(Rs.300 rent for single bedroom) near to lake and dumped all my bags. I don’t want worry much about hotel room, any way I will be back at night for sleep. You can find plenty of hotels in this road in all the range. Rs.200 to Start hotel rooms. Simple to understand the roadmap and sightseeing.”Nainital Lake” will be main attraction. Its located in middle of mountains. We have three view points around this lake like Barapathar, Naina/China Peak and Snow View. From all these view poitns, you can see same Nainital lake and Himalyan View. Nothing more. I decided to go Barapathar first, but on the way I seen CAVES GARDEN. Its collection of small caves. Its not much interesting, but we can have very good view from this place also. After I reached Barapathar, this place contain collection of view points. We need to travel in Horse to reach this view points. WE can see plenty of horse in this palce, ratest starts from 100 to 500 based on number of place you select. I paid Rs.400 and decided to go all these place like Dorthy Seat, Tiffin Top, Tiger Top, Lands End and Lovers Point. We will have very good view from this place. Next I reached Naina Peak(Naina peak and China Peak are same), But I realized already 5.00 pm, I am not going to get good view in this time because of fog. So I came back to Nainital lake. 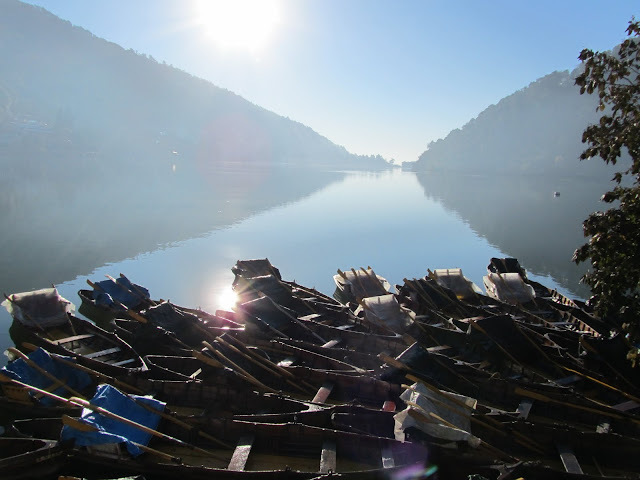 11DEC2010 05:45 PM : I went to Nainital lake for boating, there is different type of boat option, I took one for Rs.150. This lake having system to purify lake water continuesly. 11DEC2010 08:00 PM : I spend time near to lake. It will have lot of shops and more active place. 11DEC2010 09:00 PM : If I get room for Rs.300, I wont get heater !! Its very cold in this season. 12DEC2010 08:45 AM : I went to Naina Peak because Ropeway will start at 10.30 AM only. We have to truck 3km to reach Naina Peak to see Himalyan View. Still if you truck 2 more km we can reach china peak I am the first person went today. I am not able to see anybody at this time because of cold. We will have very beautiful himalyan view from this place. There is horse facility also in this place, but I am not seen any horse in the morning. Himalyan View from "Naina Peak or China Peak"
I came down from this place, From this place we can go to Snow View point by road. it will be less then 1 km. but I decided to go in Aerial Ropeway to reach Snow View point. You can go to Snow View point through road or Aerial Ropeway. Better go in Ropeway and will see nice lake view also. 12DEC2010 11:45 AM : I came back to Rope way to reach Snow View. Rope way will work from 10.00 AM to 5.00 Pm in Winter. Through this rope way we can reach top of the hill, its called Snow View point(7,450 ft). where we can have Himalyan View and lake view. Some time my bike engine performing badly in hilly road, I don’t know the reason. 12DEC2010 01:00 PM : Good !! Started riding back to Noida/Delhi. This time I decided to ride through Kaladungi road. Its beautiful hilly road and only light Vehicle allowed in this road. good I seen one small falls in this road. Its really fast and short road to reach Moradabad. 12DEC2010 04:00 PM : I reached Moradabad. 12DEC2010 07:30 PM : Reached noida Guest house. There is lot of traffic near to noida because of delhi traffic. Its really wonderful hilly 2 days ride ! !